Belmont University College of Pharmacy recently unveiled an exciting new option for high-potential high school students interested in pursuing a doctorate of pharmacy. The new Early Assurance program allows selected students who are accepted as Belmont undergraduates to earn guaranteed admittance to the University’s PharmD program. The program also provides opportunity for students to achieve their PharmD in as little as six years. High schoolers interested in Early Assurance must achieve a minimum of 26 on the ACT (1150 SAT) as well as hold a 3.5 or higher high school GPA. Upon acceptance and admission to Belmont as a freshman, the student must then indicate interest in the program and complete a successful interview with the College of Pharmacy. Once enrolled as a Belmont undergraduate, the student must exceed minimum grade requirements and successfully complete the application process to the PharmD program as specified. Once enrolled, Early Assurance pre-pharmacy students must complete 65 undergraduate credits at Belmont in math, science and liberal arts courses, all while retaining a GPA of 3.0 or higher. Upon completion of those pre-requisites, acceptance to the Belmont College of Pharmacy is guaranteed and any academic merit scholarships awarded as an incoming freshman will continue for a total of four years of pre-pharmacy/PharmD study if eligibility requirements are met. 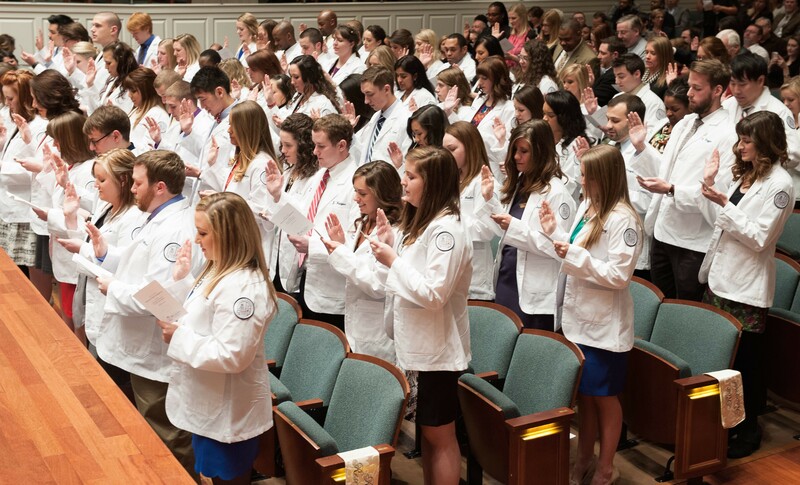 Situated in the Health Care Capital of the World, Belmont University’s Doctor of Pharmacy program is dedicated to rigorous and purposeful teaching, scholarship, service and leadership. With graduates achieving an impressive first-time pass rate of 100 percent in 2013 and 97 percent in 2014 on the North American Pharmacist Licensure Examination (NAPLEX), Belmont’s College of Pharmacy is quickly becoming a nationally-recognized center for practice and leadership in Pharmacy Education. With five areas of specialized concentration, students have the opportunity to choose the career path best suited for their interests. For more information, visit www.belmont.edu/pharmacy.